The curation of this event was very much inspired by the work of Shore project partner ATLAS Arts - an award-winning contemporary art producer and commissioner based in Portree on the island of Skye. In particular their long-term aquaculture project CLIMAVORE: On Tidal Zones, looking at forms of eating that address environmental regeneration by promoting ingredients that proactively respond to the new ecological challenges of Scottish waters. For Shore, the brilliant ATLAS Arts team organised a fine spread of fresh dulse seaweed soup and a selection locally made breads incorporating seaweed that set us all up for the post-screening discussion. 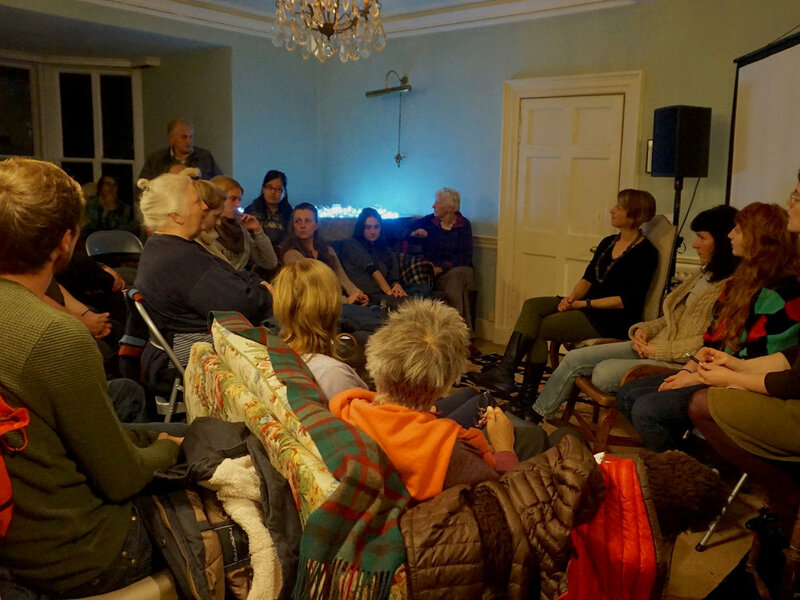 The screening took place in the Lodge’s main living room, so we assembled a mismatch of antique chairs and sofas and set-up a screen, creating what was a cosy and communal atmosphere. Once fed and watered an audience discussion commenced facilitated by Shore tour producer Shona Thomson with filmmaker Margaret Salmon, and Dr Raeanne Miller and PhD student Texa Sim based at our key scientific project partner: The Scottish Association for Marine Science (SAMS). The discussion in the room ranged from the concept of marine crofts being set-up locally to the serious but seldom discussed issue of marine noise pollution. Listen to the whole discussion above.